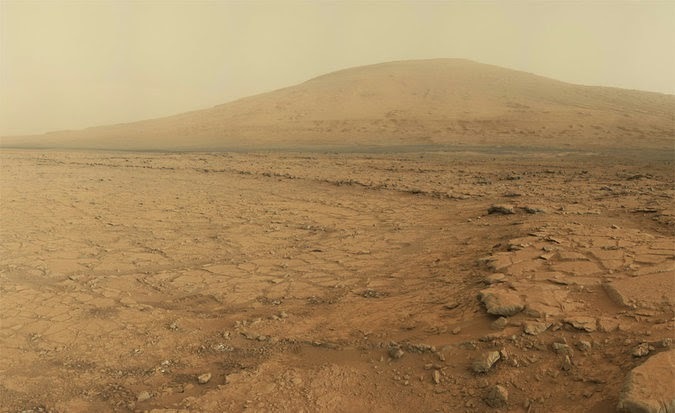 A panoramic view of the surface of Mars from the Curiosity rover. Mt. sharp can be seen in the distance. Few now are old enough to remember what it what it was like before globalization. Or perhaps they do remember but do not want to dwell on it. Dwelling on it can be uncomfortable. I remember the first time I had American lime Jell-O in Buenos Aires when I was 8. It was ambrosia (not that I knew of that word then). It did not taste at all like the local stuff which I think may have been Royal. Just a bit older I was mandated by my mother to put on Argentine-made blue jeans and go with them to the American Grammar School where I was the impoverished student who did not pay the high tuition because my mother taught at the American High School. My fellow classmates wore Levis or Lees. When you folded up the cuffs of my ratty Argentine jeans they did not have that elegant seem found in the American brands. The rich American kids all somehow chewed Bazooka or Double Bubble. Argentines had yet to imitate American bubble gum. When somehow my mother gave me (I have no idea where she purchased them) a pair of Texan-made cowboy boots with brass spurs (fake but the jangled beautifully) I was almost proud. I could hide the ugly seems of my jeans inside the boots. My father, who besides being a journalist for the Buenos Aires Herald worked as the translator to the new Indian Embassy invited his embassy friends for curry (!!) at home the gentlemen, very black they were and some wore exotic turbans, showed up in a Hillman Minx. Nobody in my neighbourhood has ever seen such a car. It became more wonderfully strange when one of my mother’s friends (she worked at the American Embassy) visited us in a brand-new powder-blue Ford I was in jealousy heaven (my street friends, I mean). But this was topped twice after. My “girlfriend” Susan Stone whose father was the General Manager for GM in Argentina would send a chauffeured Cadillac to pick me up so I could play at her house. It was there where I saw my first in-the-flesh television set. The Filipino Minister to the Filipino Ministry (not yet and embassy but bigger than a consulate), Narciso Ramos had a liking for me. He showed up one day with his son Fidel (in West Point Cadet uniform and one day became President of the Philippines) in his dark blue 1950 Lincoln and the three of us went to a Harlem Globe Trotters game at Luna Park. When my mother told me that we were going to move to Mexico (even in Spanish I pronounced that with the English sounding X) it was as if we were going to a place that was most exotic (and it was). She spoke of volcanoes and tortillas (until then Spanish omelets). Even when we arrived in Mexico everything had its place in maps. Some of the illustrated world maps (particularly the American ones) showed a sleeping Mexican with a sombrero resting (how could Americans not know about the thorns) on a cactus. Filipino women under conical hats planted rice, gauchos rode the plains of Argentina, cowboys, and sometimes Indians, in the USA and the most endearing man in short leather pants with suspenders, a feather in his cap, smiled over Germany. In my world German cameras were the best and the Japanese made poor copies. In my world Chryslers had powerful engines with innovative push-button transmissions while I could not figure out how to pronounce Peugeot. But soon enough I found myself, with my wife and two daughters in Vancouver and I was hit by the strangeness of Mexican looking Canadian Indians (that’s what they were in 1975) who did not understand Spanish. They also did not seem to have red skin. An Argentine nephew of mine in the late 80s asked me how I could tell the difference between the Chinese and the Japanese. In our times the only Japanese person residing in Buenos Aires was a man called Matsumoto. The Chinese were nowhere to be seen. Alberto Fujimori, the Japanese President of Peru, in the 90s was called El Chinito (the little Chinese Man). I told my nephew that it was easy to tell the difference between the Japanese and the Chinese. And when there was doubt, usually the person in question was Korean. It was in the mid 70s that I first saw a Russian car. I stopped to look at it as if had recently landed from Jupiter. The metal seemed different in my eyes. I was proud of my first real camera which I purchased for $100 in 1958. It was and is a Pentacon-F made in Dresden. Embossed in the leather bottom is: Made in Russian Occupied Germany. Globalization has evened the playing field with the exception that the rich are still there (but richer) and the poor are still there (but poorer). Coffee at a Mexican MacDonald’s will taste as terribly as one in Vancouver or in Peking (sorry, Beijing). 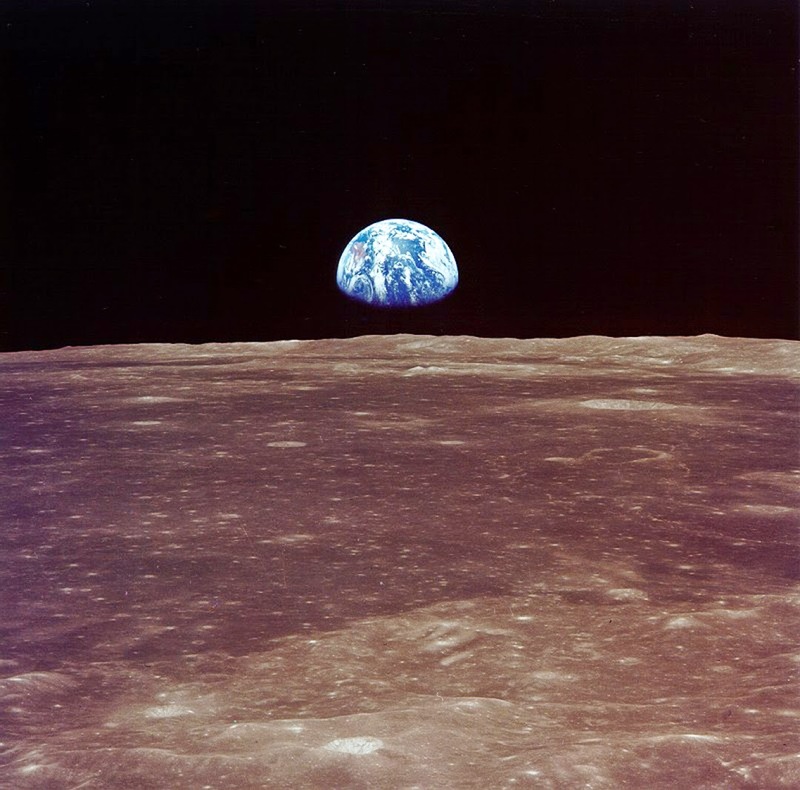 My first moment of feeling I belonged to this strange changing world happened, strangely not when Neil Armstrong walked on the moon on July 21st, 1969, but years later when I first saw that photograph of earthrise over the moon taken by astronaut Michael Collins. For the first time and many times after that first time, I looked at the image and said to myself, “We, are all, from there as seen by three of us from here.” That was the moment for me when we became really globalized. Now can look at a most recent photograph of Mars taken by the Curiosity rover and it looks just like here and it is difficult for me to conjure that feeling of not feeling I am not from there but from here. You see there looks very much like here.